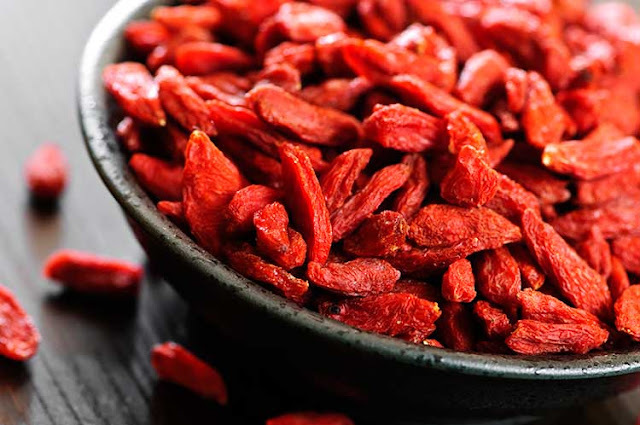 Goji Berries (Wolfberry) — Used in traditional Chinese medicine for over 5,000 years, Goji berries are characterized as a longevity, strength-building, and potency food of the highest order. This Superfood is rich in essential amino acids and trace minerals. It also has high amounts of antioxidants, iron, vitamins, and many other nutrients. Goji berry is an “adaptogen,” which is a term used to describe a substance that offers a combination of therapeutic actions on our bodies. An adaptogen eases the body in dealing with stress by boosting the immune functions, stamina, and sexual function. They also help support adrenal and kidney functions.